The issues of full-body scans and increasingly more aggressive pat downs have created a social media blitz these last few days. Television news media reports that the majority of air travelers don’t object to the tighter security, but the Internet has opened up a Pandora’s Box, and it is highly unlikely the Transportation Security Administration is going to be able to stuff all the evils back until some real hope shows a policy change. Even Congress plans to hold hearings on the “very controversial” issue of how to balance airport security with a less invasive procedure. A website called optoutday.com has called for a boycott of the body image scanners tomorrow which is the busiest travel day of the year. Travelers are urged to reject walking through the scanners and opt for the pat-downs to cause delays. Of course TSA Administrator John Pistole says it will only lead to longer delays and used the emotional appeal that it will keep families from being together on Thanksgiving. If travelers are allegedly being polled and not objecting to the new security issues, and only a small minority of travelers are objecting, why is that politicians and citizens alike have made such an impact? As of 10 p.m. on Monday, 8,036 had “liked” the ideal of a national opt-out on Facebook. Even though most people have no objections, those who do will be making a huge impact, and social media has played a most important role. And here is where the lack of customer satisfaction enters for the TSA. According to Alex de Carvalho, who teaches a course in social media at the University of Miami states, it is the TSA’s fault. When passengers went online and expressed their concerns about their invasion of privacy and possible health hazards due to radiation used in the body scanners, the TSA had no answers on their own blogs; social media and customer satisfaction suicide. So even though the majority of passengers don’t object and are grateful for increased security, the old adage of one person being heard is especially pertinent to this issue and might very well effect a significant change for all travelers. 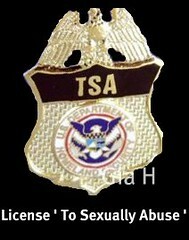 And so the question remains that airline passengers are paying customers and thus are entitled to certain rights, and is the TSA acting responsibly or does customer satisfaction fly out the window because a would be hijacker hid explosives in his underwear? Will full body scanners be installed in high schools because of the teenage assassins at Columbine? Will the next TSA initiative call for even more invasive searches of body cavities? Customers demand respect and a certain amount of privacy; where does the TSA authority end and when do passengers regain their right of respect?